It has been a monumental five years since the recreational cannabis market began in Colorado. The state’s lauded program serves as a standard for other markets across North America. 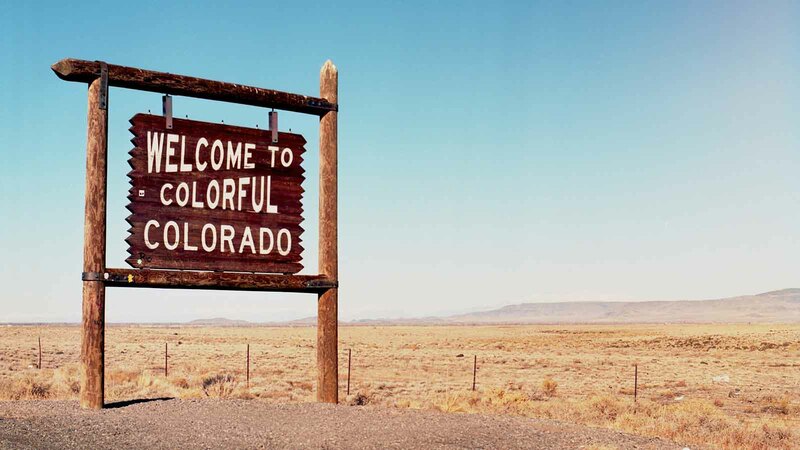 To make sense of the current state of the Colorado cannabis industry, the state’s Department of Public Safety released a report on the impacts of marijuana legalization in the state. We know time is short when you’re a cannabis business owner, so we've sorted through the Colorado cannabis report to bring cannabis retailers five key highlights that are relevant to them. 1. Colorado cannabis licensing has slowed significantly. The growth of cannabis licensing has slowed significantly since the first two years of legalization. Between 2016 and 2018, growth slowed to six percent compared to 30% growth from 2014 to 2016. Most retail cannabis licenses are concentrated in three counties: Denver (182), El Paso (134), and Boulder (26). For those opening a cannabis dispensary in Colorado or retailers that are looking to expand, consider the density and competitive landscape before deciding on a location. If you run a retail cannabis dispensary in a high competition area, it’s even more important to create a seamless and memorable customer experience if you want your store to stand out. With the fierce competition in Colorado, there will be dispensary owners who can’t keep up and are looking for a way out of the business. Acquisition of an existing retail cannabis license and location(s) is an alternative route for those looking to get a license or expand their established business. The key to a successful acquisition is doing the research. Compare the investment cost of purchasing a license versus starting from scratch and think through how you could realistically make the existing location more profitable than the previous owners could. 2. Monthly recreational cannabis sales are on the rise, but medical sales aren’t. Business is still good for recreational cannabis dispensaries. Between 2014-2018, there was steady growth in monthly recreational cannabis sales over time. In May of 2018, monthly sales exceeded $100,000,000. Unfortunately the same is not true for monthly medical marijuana sales in Colorado, which have seen a decline since 2014. Potential cannabis retailers should consider the steady decline in medical cannabis sales when deciding on the type of operation – medical, recreational, or hybrid – they want to run. 3. The illicit cannabis market in Colorado still exists. The goal of legalization is to eradicate the black market, moving cannabis into a highly regulated and safe legal market. However, it seems the illicit market in Colorado still exists. In 2009, 29,381 illegally cultivated cannabis plants were confiscated on public lands; that number jumps to 80,826 illegally grown cannabis plants on public lands in 2017. There are still seizures of illegal and significant quantities of cannabis. It’s clear the black market is still in full swing. So how do you stay compliant and compete against the illicit market? Cannabis retailers must be diligent in ensuring that none of their cannabis inventory is diverted into the illegal market. Utilizing a cannabis-industry specific point of sale system can help provide tracking and compliance help. To compete, cannabis retailers must think hard about who their target demographic is and what they want in a legal retail dispensary. Even if you can’t beat illegal market prices, you can beat the illicit market customer experience. Anticipate your customer’s needs and create a safe, enjoyable environment that will make them forget about the price difference. 4. Training budtenders on edible education is key. Since legalization, Colorado has seen a spike in children admitted to the emergency room for cannabis consumption. Most of these hospitalizations were a result of cannabis edibles. In 2012, there were 16 cases of children eight years old and younger admitted for cannabis consumption. There were 64 in 2017. This increase in child hospitalizations, mostly due to edibles, exemplifies just how important it is for budtenders to educate customers on the products they buy. Cannabis retail owners must establish robust employee training programs so budtenders are prepared to explain the danger edibles can pose to children and how to keep them stored safely away from minors. 5. The biggest crime-related threat to cannabis retailers is robbery or burglary. Tracking cannabis-industry related crimes is difficult. The state doesn’t track crimes by business location, but the Denver Police Department does identify crimes that have a clear connection to cannabis and the cannabis industry. The information collected by the police indicates that robbery (six cases in 2017) and burglary (80 cases in 2017) are the most common crimes committed in the cannabis industry. Even so, the crime rate in the industry is overall very low. Dispensary owners can lower their risk of burglary and robbery by utilizing safe and secure cash management solutions for the cannabis industry. To stay up to date on cannabis industry trends and to get the latest tips on running a compliant retail cannabis business, subscribe to our blog!